Trainer, consultant, and a coach with 15 years of experience. Completed his MBA studies and graduated from AGH in Cracow and L. Różycki State Music School (accordion, clarinet, piano). For four years, Michał worked in specialist and manager positions in areas like HR Management, marketing, and quality systems in Polish and international companies. He created business and marketing strategies. Michał specializes in developing managerial competences, solving conflicts, creativity, and change management. He creates train-the-trainer programs for internal trainers, and supervises trainers’ work. 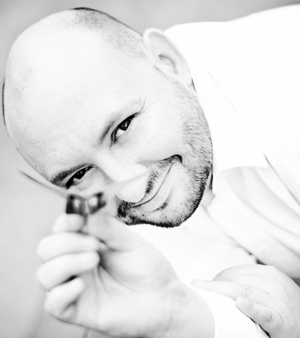 As a coach, Michał does career coaching, executive coaching, and business coaching supporting promotions. For more than 6 years, Michał has worked as a Team Consultant applying a psychodynamic and systemic approach to groups, systems, and organizations, having been prepared for this role by the prestigious Organization for Promoting Understanding of Society. Currently, he is finishing a 5 year long psychodrama trainer program. Michał also facilitates efficiency and cohesiveness of small groups, using methods like Action Learning, case-in-point, reflecting teams, iceberg process, design thinking, and many others. Michał creates competence assessment programs andworks as assessor in Assessment & Development Centers for corporate organizations. Michał enjoys playing clavier and paints with watercolors. He is an enthusiast of reading, especially about psychodrama, and the psychology of small and big groups. His drive for improvement and self-development is just relentless. He keeps on searching for innovative methods of working with groups and individuals. At work, he applies an original, creative approach with elements of psychodrama, as well as the psychodynamic and systemic attitude. He works in Polish and English.